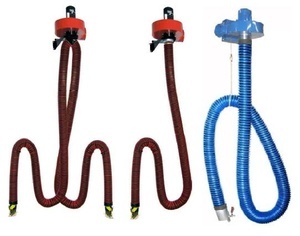 Stationary exhaust extractors are applied for capturing the exhaust fumes emitted by vehicle exhaust pipes during engine tests, adjustments and diagnostics. 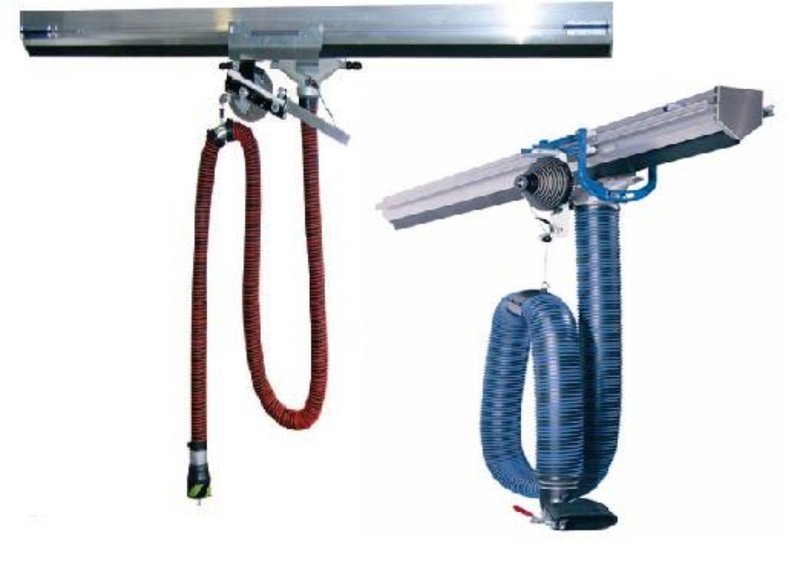 They are installed at the height of 2 up to 3 metres, on pillars or walls of the garage, workshop or car service station. Rubber sealed, aluminum extruded duct is designed for extraction the exhaust fume from vehicles by means of the mobile balancing extractor which is moving along the duct. The trolley displacement proceeds while the vehicle is pulling the hose with nozzle (clamped on the vehicle’s exhaust pipe). The duct is meant for application with personal cars and lorries. 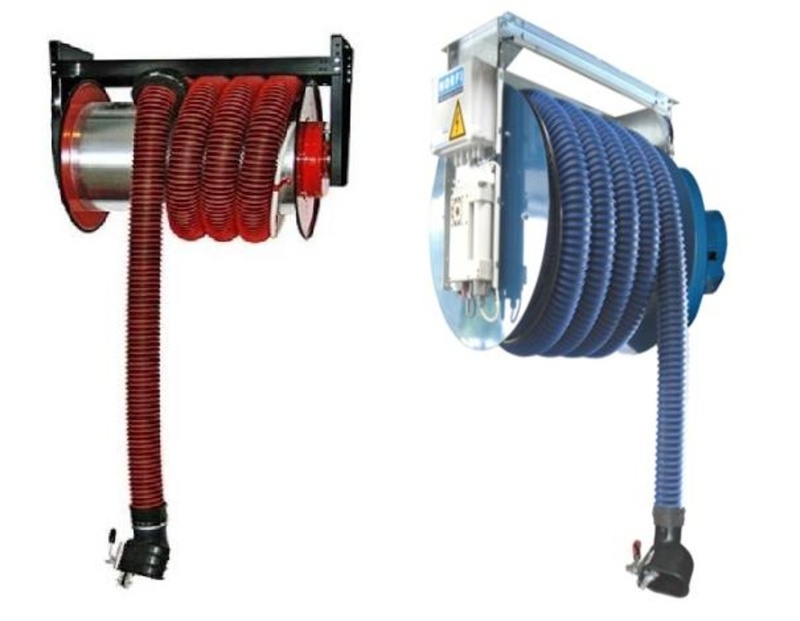 The reel exhaust extractors are designed for extraction the exhaust fumes emitted by vehicle’s exhaust pipe during the engine tests, adjustment and diagnostics. They are applied in bus depots, garages and car service stations. At economic optimal air extraction and simple use it captures the whole exhaust volume and removes them outside. The reel can be mounted directly under the ceiling or to the wall or to column by means of a bracket set. 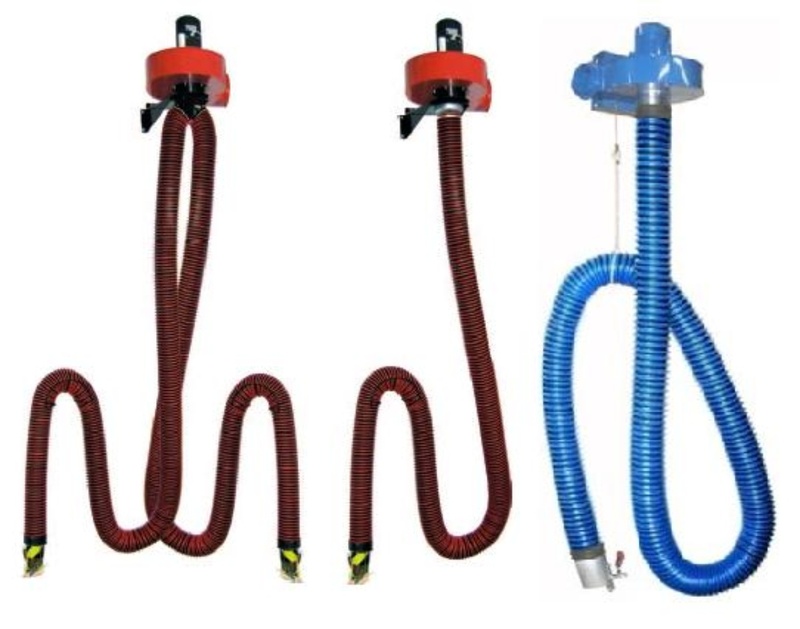 Stationary balancing exhaust extractors are designed for effective removal of exhaust fumes, emitted by the vehicles during the engine tests, adjustment and diagnostics. They are applied in bus depots, garages, car service stations and work - shops. 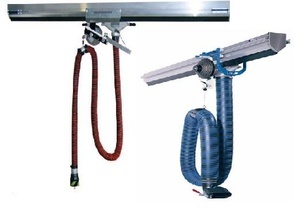 The extractor can be mounted on a wall or a column. It can work with a fan installed on a wall bracket or roof base. Extractor can work with a fan fixed on a wall bracket or on roof base. 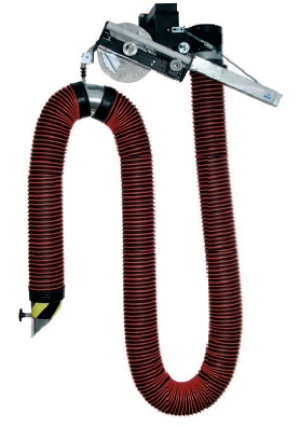 Moreover, the extractor can be connected to a collecting discharge ductwork. The built-in shut-off damper enables application of a smaller fan while simultaneously only part of the connected extractors are used.